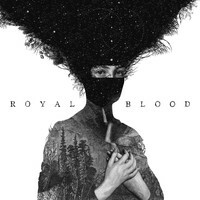 Having won a ‘BBC Sound Of’ nomination, and the respect of Arctic Monkeys, Pixies and Jimmy Page, Brighton rockers Royal Blood are having a hell of a year. Here, drummer Ben Thatcher talks us through the rollercoaster ride that has been 2014, and shares the story behind their debut. So Ben, who were artists that first got you into music? It’s a little bit embarrassing, actually. We’re quite diverse in what we listen to now, but I was into a lot of pop and chart music growing up. The first album I ever bought was from Woolworths, and it was Aqua’s Aquarium. Because my parents weren’t musical at all, I didn’t receive any sort of musical education, so I was buying CDs by the Spice Girls, Backstreet Boys, 5ive and all that kind of stuff. Then my brother started playing in a band and introducing me to stuff like Foo Fighters, Queens of the Stone Age and Nirvana, which then led me onto a lot of other things. I know Mike was quite similar. I don’t think he went as low as Aqua, but he was a pianist so he used to play along to ABBA and things like that. We respect your honesty: usually people lie and pick something cool as their first album. So were you in many bands before Royal Blood? Yeah, loads, since about the age of six. I mean, I grew up wanting to be in bands, and wanting to do this professionally. I entered lots of talent competitions at school and then I went to a music college, where I was in all kinds of groups. I played guitar in a band called Slay The Country which, funnily enough, Mike was also in. Playing a keytar. (Laughs) We actually got signed to management agency, but I left the band then because I knew I wasn’t a guitar player; I was just making up stuff on the spot. But that band spawned another, slightly heavier band called Hunting the Minotaur. Then that grew a bit old and we all wanted to do other things. Can you remember the first time you met Mike? Yeah, it was at a college music night, when I was 17 and he was 15. I remember I really liked him, even though he was coming onto my girlfriend at the time. He was talking to her and then I got talking to him, and blew his dreams up a little bit! But then we became really good friends and hung out quite a lot on the music scene down in the South Coast. We’ve played in so many bands together. Even a wedding band. What with bands like Drenge and the DZ Deathrays, there does seem to be an influx of rock duos at the moment. Was there never any temptation to recruit more members to Royal Blood? No. We started Royal Blood for the love of hanging out writing songs and playing music together. Logistically, it was very easy: I’d just have to pick him up in my car with the drums in the back, and we’d go and make some songs up somewhere. Mike used to bring lots of amps and pedals, and experiment to create this big bass sound. We could make the sound we wanted between us, so there wasn’t ever a need for any other person. What are the benefits of being a duo? I think that the positives are also the negatives. You can only do two things between you, but then that makes you become quite creative, pushing yourself to sound bigger and louder. We’ve got less people to work with and less people to bounce ideas off, which is a negative as well as a positive; it’s one less person to worry about. What with the BBC Sound Of 2014 nomination, it all seems to be working out pretty well so far! How did it feel to be the only rock outfit on the list? You know when someone says something you don’t catch, and you just nod and make that false, agreeing noise? Well, when we got told I didn’t really know what it was, so I was just like, “Cool, that’s great.” It wasn’t until I looked into it afterwards that I realised it was quite a big deal! It was an honour to be on that list amongst so many talented people, but what I would say is that I generally don’t really like music as a competition. I think anyone could have won, and there could have been so many other bands on the list, because everyone is different and everyone is entitled to their own opinion. Also, I guess we felt a little bit of pressure from all the hype about us being the only guitar/rock band on there. 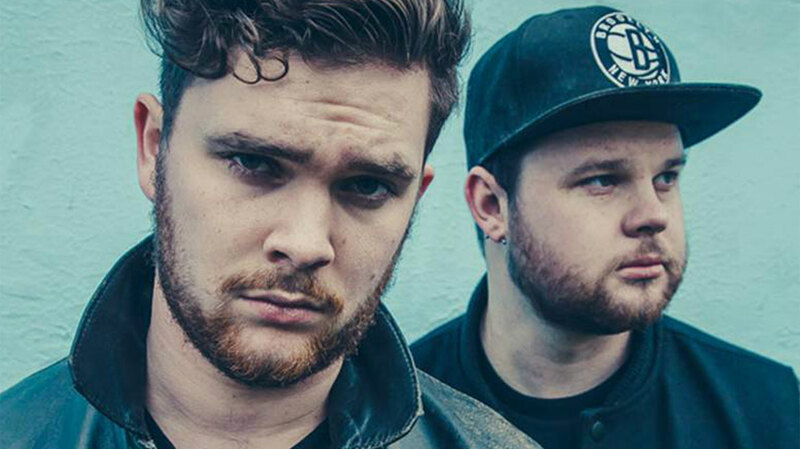 People were saying things about Royal Blood bringing back rock ‘n’ roll. How did you counter that pressure? We just carried on doing what we love doing: writing and performing songs. So, for the benefit of people yet to hear your debut, what can they expect? It’s pretty raw. There’s no hiding behind anything: it’s based on drums, bass and vocals and that’s it. We went into the studio with the mind-set that we wanted to reflect what we do live, which meant no backing tracks, or strings or anything else. We almost tricked ourselves into recording the album, by continually writing songs and recording them every other month. By the end of the year we had written about 16 songs that we really liked so we picked the 10 best that fitted together for the album. Then – right at the last minute, when we thought we had finished it – we recorded two songs we’d been rehearsing in soundchecks, and they ended up being the last two songs on the album. I’ve got a soft spot for ‘Out the Black’ because it was our first single and it’s probably my favourite to perform live. It’s fun to play but also you get a great reaction from the crowd when that intro kicks in. What does your debut album say about you as a band? I don’t know if it necessarily reflects anything of our personalities, it’s just what comes out when we play music together. This album is us putting our flag in the ground: just balls-out, straightforward rock music. Which is something that hasn’t really been going on in a popular sense, recently. As well as being picked to open for Arctic Monkeys and Pixies, we heard that Jimmy Page is a Royal Blood fan too. Is that true? That was a surreal moment! I just remember walking past him as I was going onstage at one of our shows in New York, and I was double-taking, like, “Is that Jimmy Page! ?” We heard a rumour that he might be coming along but we didn’t want to get our hopes up, because he is one of our absolute heroes. Sure enough, he came along, so we hung out with him in our dressing room, and grilled him about Led Zeppelin. How did he discover you? He said he saw us on ‘Later with... Jools Holland’ and that he loved what we were doing so wanted to come see us live. What I got from him, was this sense that he’s just a big fan of music. I mean, he’s quite a mysterious man, isn’t he? No-one really knows Jimmy Page. But he was just very genuine and said some lovely things about Royal Blood, and it was very encouraging. It’s been a crazy year so far for the two of you. How did your initial hopes for 2014 compare to the actual reality of 2014? To be honest, I didn’t think about 2014: it hit me in the face. I’m going to paraphrase Ronan Keating right here but it’s like a rollercoaster. We were at the top of the rollercoaster at 2014, and suddenly we were going down, never knowing where the next bend was or what was coming. And it hasn’t stopped yet. I mean, there have been so many highlights I can’t even list them all: playing venues that I’ve seen my favourite bands in, playing Glastonbury and all those big festivals, playing our first shows in America and Australia, playing Jools Holland and Jimmy Kimmel. Every single day me and Mike are doing something that is not very normal. And it’s Reading Festival next, right? Yeah, I can’t wait for that. That’s the festival that we went to growing up, so we know what we are in for. You must have done hundreds of interviews this year. Is there anything that nobody’s asked you yet, that you wish that they had? I don’t think so... I mean, there are questions that we get asked so often that I’ve sometimes been tempted to do a soundboard of my answers. But I think that, hands-down, the best question that we ever got asked was during the last interview of a long day of interviews. We were drained and this guy came in and we were waiting for, “You’ve been compared to The White Stripes...” or something. He just went, “So, would rather be a dragon or ride on a dragon?” It changed my whole day, that question. For the record, what did you opt for? I’d rather be a dragon.